OMAR SALINAS EVENTS is the division of multitudinous events from promoter Omar Salinas. 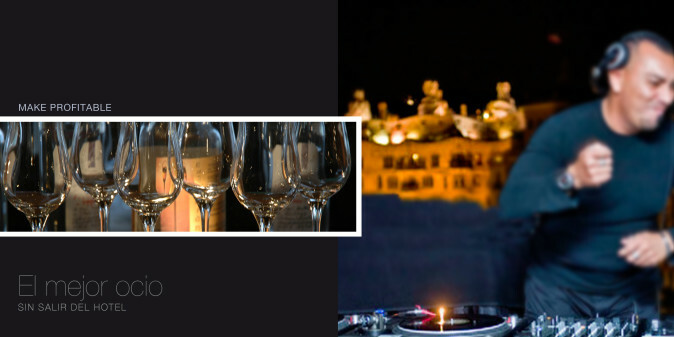 In OMAR SALINAS EVENTS we organize all kinds of festivals, concerts, openings, fairs, congresses, presentations, private celebrations, press conferences and events in general in Spain and in all Europe. 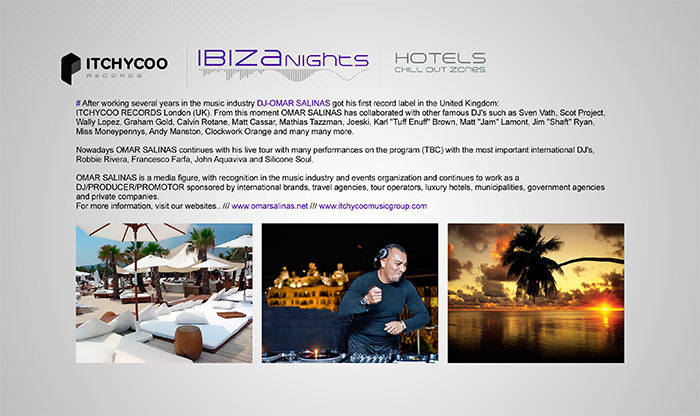 One of the most important events that OMAR SALINAS EVENTS outstands is in the organization of electronic music festivals, because the wide of both personal and professional experience of Omar Salinas, as a DJ of recognized prestige worldwide, musical promoter and great expert of world record, places him as one of the most qualified professionals* to lead a festival of this kind. The great “plus” of the festivals organized by OMAR SALINAS EVENTS is that they adapt your offer to the host town or village, with the aim of promoting the township nationally and internationally, turning the festival into an event of touristic and cultural attraction. With a strong presence and a recognized prestige of its professionals, OMAR SALINAS EVENTS’ electronic music festivals is presents itself as a reference, a trademark symbol of modernity, quality and authenticity, a platform to discover and to live with the new trends, a must for restless public. 5. 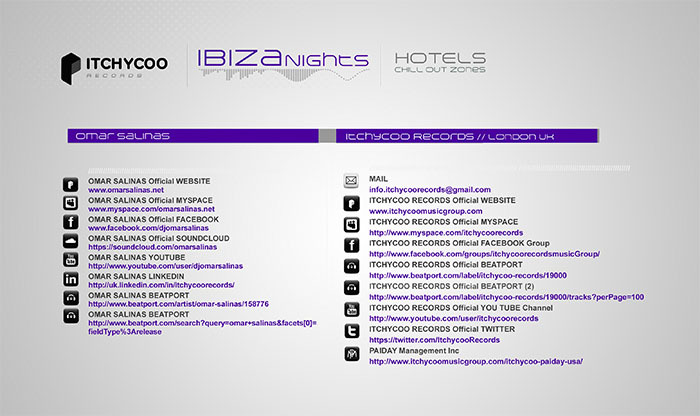 Electronic Music Fair and leading companies. OMAR SALINAS EVENTS es la división de organización de eventos multitudinarios del promotor Omar Salinas. Entre los eventos organizados por OMAR SALINAS EVENTS se encuentran todo tipo de festivales, conciertos, inauguraciones, ferias, congresos, presentaciones, celebraciones privadas, ruedas de prensa y eventos en general… tanto en España como en toda Europa. Uno de los eventos más importantes en los que destaca OMAR SALINAS EVENTS es en la organización de festivales de música electrónica, ya que la amplia experiencia personal y profesional de Omar Salinas, como DJ de reconocido prestigio a nivel mundial, promotor musical y gran conocer del mundo discográfico, le sitúa como uno de los más cualificados para liderar un festival de estas características. El gran “plus” de los festivales organizados por OMAR SALINAS EVENTS es que adaptan su oferta al municipio que los acoge, con el objetivo de promocionar dicho municipio a nivel nacional e internacional, convirtiendo el festival en un evento de interés turístico y cultural. Con una fuerte implantación y un reconocido prestigio de sus profesionales, los festivales de música electrónica de OMAR SALINAS EVENTS se presenta como un referente, una marca símbolo de modernidad, calidad y autenticidad, una plataforma para descubrir y para convivir con las nuevas tendencias, una cita ineludible para públicos inquietos. 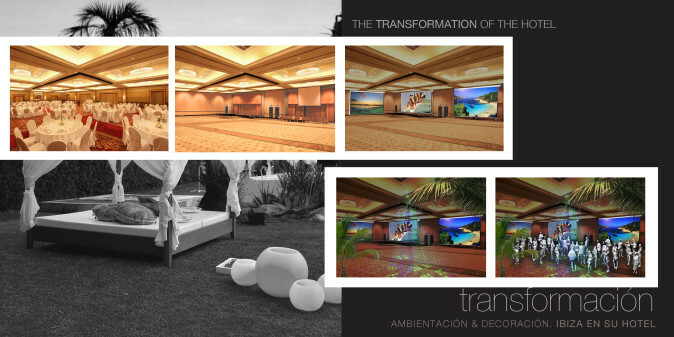 The long and successful experience in organizing all kinds of events, the recognition gained both from institutions and from the media as well as the extensive career of the team, with over twenty years of experience are a guarantee of success and the ability to produce “memorable sensations” in the cultural and leisure field. 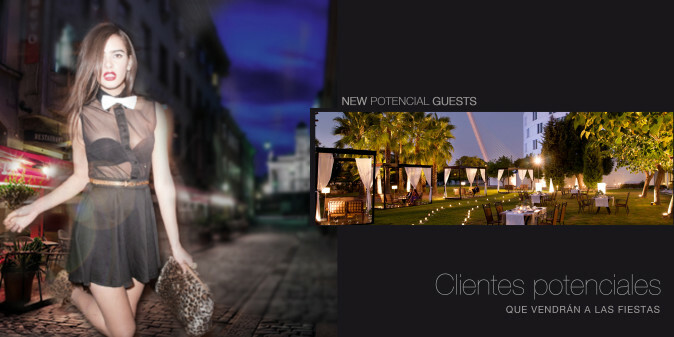 OMAR SALINAS EVENTS works with government administrations, trying to respond their cultural and touristic needs with the aim of offering a different modern and innovating option for those difficult times.The aim is, from the generic and intrinsic bases events of OMAR SALINAS EVENTS, to design a personalized project for the township where the events take place, making the most of it, making it last and enlarge progressively over time, try to establish it nationally and internationally as a first class tourist destination. ‘Festivals of Electronic Music and New Technologies’ OMAR SALINAS EVENTS was born as a cultural and leisure choice, capable of bringing to the township where it takes place to the forefront of modernity. Aimed at an audience ranging from 20 to 45 years old, it is a landmark event both at a national and European level, which brings between 10,000 and 20,000 people together, all of whom love new trends and cultural currents, in which electronic music plays a unifying and decisive role. 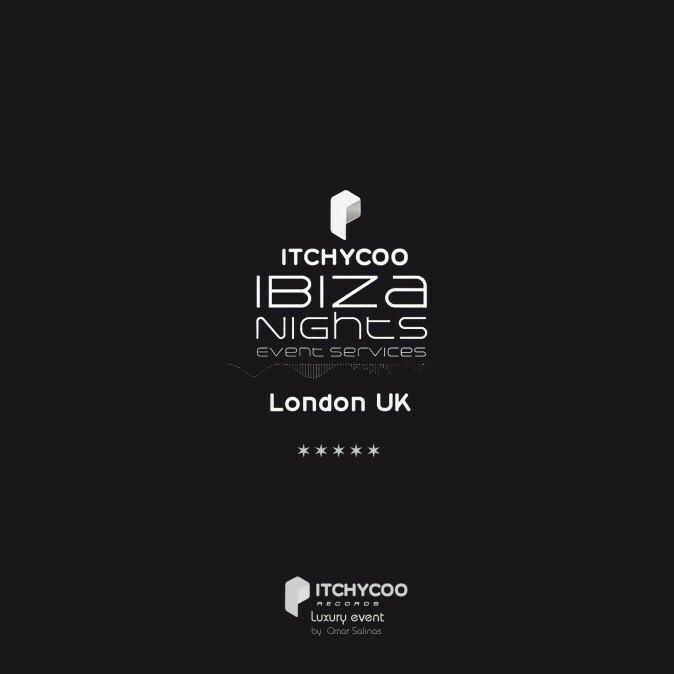 The experience developed in other cities (Arganda del Rey (Rock n Rio), Berlin (Love Parade), Burgos (Electrosonic), to name a few nearby and other similar ones) proves that to institutionalize a first class cultural and innovative event ‘promotes and revitalizes extraordinary the potential of a city in all of its fields’. ‘Festivals of Electronic Music and New Technologies’ OMAR SALINAS EVENTS is a concept which encompasses several artistic creations, including some of the most advanced trends, such as music, video art and digital technology, which brings together a very wide typology of audience within a target age where we find all segments and sections of society and all types of cultural groups. A target of restless consumerist nature, ideal for projecting all the cultural industry, tourism and leisure of the township where the festival takes place. ‘Festivals of Electronic Music and New Technologies’ with OMAR SALINAS EVENTS’ seal is, by design, much more than a meeting place for lovers of electronic music and new trends. It goes beyond the interaction between different and innovative cultural and artistic disciplines. And this makes it a culture and leisure festival of national reference that, without any doubt, will project and position firmly the township that receives the festival to a national and even international level. The electronic music festival EVENTS OMAR SALINAS always counts with luxury posters and include the best artists of the moment. Optionally, a contest for young talented DJ’s in the area can be included in the festival. The winners could have the opportunity to become artists along with the great European DJ’s and VJ’s present at the event and promote them internationally. During the festival of electronic music OMAR SALINAS EVENTS new technologies workshops are organized as well as other complementary activities, which are free for those attending the Festival and seek to be a point of meeting for close citizens, offering a wider range of cultural, leisure and training options. 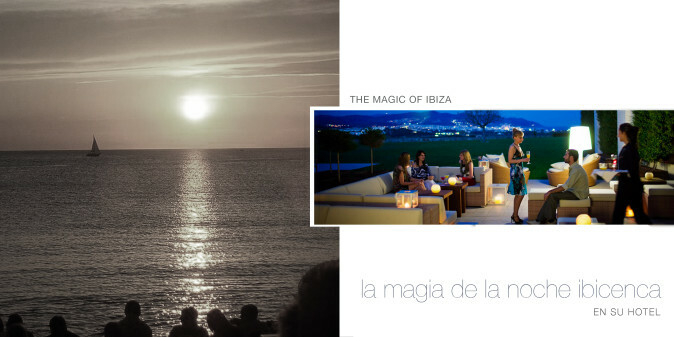 The Chill Out Village is inspired by the Chill Out movement from the mythical ‘Café del Mar’ in Ibiza. And, whenever their schedules allow them, it’s their precursors, Bruno and Jose Padilla, who attend the to put their personal twist to the event. 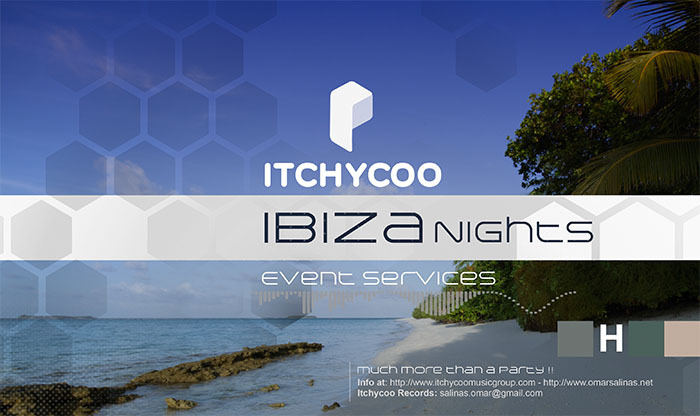 They are parties organized by tour operators and aimed to who contract their services, in order to encourage reservations and buy tickets through official channels. OMAR SALINAS EVENTS’ electronic music festival organizes a parallel exhibition fair, whose exhibitors may be companies of the industry as well as companies interested in approaching the public who attend the festival. This fair is an additional meeting point for discovering in the one hand, developments in the sector of electronic music, and, in the other, to ease access to several companies interested in reaching a target audience ina a direct and personal way. The exhibition space is usually located in a pavilion or large tent near the main stage. This is a new concept of exhibition fair combining leisure with music and new technologies. OMAR SALINAS EVENTS’ ‘Festivals of Electronic Music and New Technologies’ is Omar Salinas, who has more than twenty years experience in the world of entertainment and is promoter of festivals and concerts of electronic music. Omar Salinas is a recognized DJ who became a promoter of events because of the need he felt of gathering as much audience as possible and show them the cutting-edge urban culture and new trends, which are expressed through fashion, music, art, media and new technologies. To create a festival of electronic music was an unavoidable step. Omar Salinas has exercised its role as promoter in the most significant places and cities, where they meet and develop new emerging groups as well as multicultural movements that motivate them. London, Berlin, Ibiza, Florence and Milan are amongst those cities. It took place on the island of Fuerteventura gathering 18.000 people in a natural volcanic sandy crater in 1996. The impact of VULCANO in the European media involved the Canary Islands Government and the major Tour Operators, strengthening and increasing the tourism sector in the region. Among the sponsors: Coca-Cola, Neckermann, Home Boy and the town hall of Oliva. Sponsors: Town hall of San Bartolome de Tirajana, Red Bull, Heineken and Air Tours Limited Holyday. It took place on the island of Gran Canaria, in the township of Mogan, and attracted 13.000 people in the Arguineguin cliff. Sponsors: Mogan town hall, Univerdance 92.2 FM, Holyday Airtours Limited, Wor l Music and Clock Work Orange. This edition was held in San Bartolome de Tirajana, in the conference center in Gran Canaria, where they gathered approximately 10.000 people. Sponsors: Heineken, Red Bull, Maspalomas Conference Centre (G.C. ), San Bartolome de Tirajana Town Hall, Neckermann, Airtours, TVE. Held in San Bartolome de Tirajana it attracted 15.000 people. Participant DJ’s were of the qualitiy of Brandon Block, Alex P., Graham Gold, Matt Meyers / Gizmo, Darren Christian, Mathias Tanzmann, Darren Stokes, Andy Manston,Loeski, Omar Salinas, Alex Medina, Celvin Rotane, Steve Lee, Matt Cassar. - Radio stations: 40 Principales, Cadena 100. Wedges = Every 30 minutes, 40 seconds. Brandon Block and Alex P.
BBC. Exclusive contract for a documental production. Sponsors: Neckermann, Gran Canaria Town Hall. 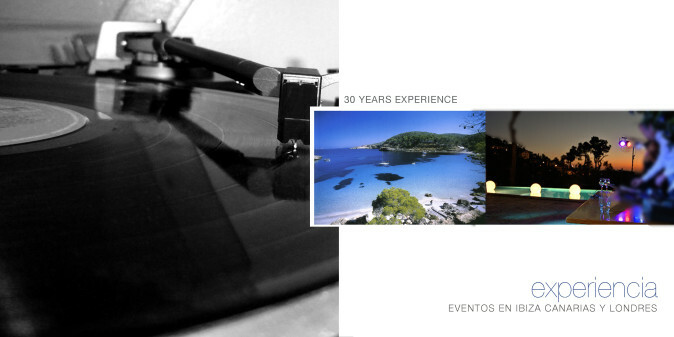 A community of DJ’S, performances, musicians, singers and percussionists all artists of EDEN in Ibiza. 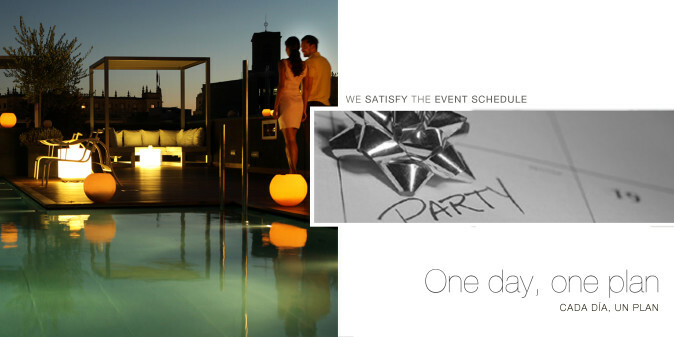 The versatility of the group D ‘MOOVE fits perfectly in any room or club determined to work with a selected HOUSE sound. In D `MOOVE’s cabin have performed: Karl” Tuff Enuff “Brown, Omar Salinas, Matt “Jam” Lamont, Wally Lopez, Stress to three, Miguel Angel Roca and Willy San Juan. To be certain of the assistance there will be in a festival of this kind it’s necessary to to do an analysis of concerts, festivals and similar events that have taken place in the Spanish state, highlighting the date and public assistance, both in their first and latest edition. In any case there is an expected attendance of at least 10.000 people, and may reach 20.000, depending on the features and capability of hosting town. Qualitatively, we can define the public attending these festivals as an opinion leader and a trendsetter, with a good attitude towards consumption. We can ensure they adopt behaviors “EarlyAdopters” and “FirstsFollowers”. The “Clubber” is our ultimate target. Because of their high cultural and social level, they are known to be very consumerists and technology fans(electronic equipment, mobile phones, iPods, music …) and always in the latest trends in tourism, culture and fashion in its widest range. They spend most of their salary in being at the forefront and in the most fashionable places. Quantitatively, the vast majority are urban youth, aged between 20 and 35 (70%), with a middle income and upper-middle (90%) and who come from large cities and towns with over 20.000 inhabitants . 75% of the audience is from Spain. Whilst the remaining 25% comes from Europe, mainly from Germany and England. The electronic music festival OMAR SALINAS EVENTS is perfectly self-financed. The sale of tickets and drinks to visitors, as well as contributions from sponsors can cover the costs of organizing the festival. Thus, the administration who organizes the event can decide whether to carry out a sponsored event dedicated to the township, or if they want to recover the investment made prior to the booking and hiring of artists, by means of the way of income stipulated for the festival (ticket sales, sponsors …). The prices listed for ticket sales (regardless the fact of adjusting the price for each particular festival) is around 35€ for a 1 day ticket and 50€ for 2 days. To make the management and control easier, official sales channels are established in the festival website (website created specifically for that event) as well as other routes that are considered appropriate and safe, as could be big shopping centers (like El Corte Inglés), important web pages like Atrápalo or the websites of festival partners. • Our own communication, promotion and advertising campaign, where the logos of the sponsors and partners play an important role. • The communication done by the artists involved in the media, especially their websites. 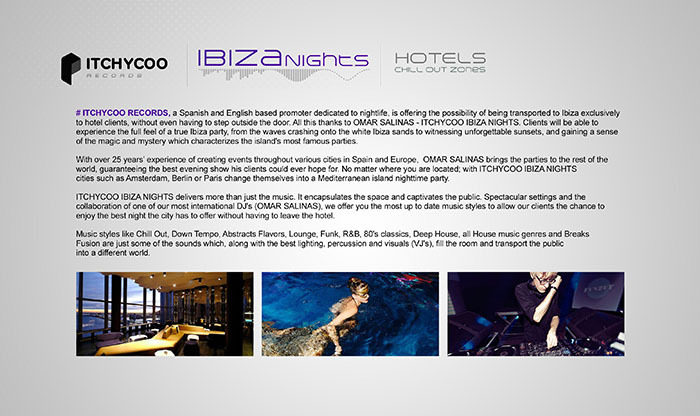 • The promotional activities, marketing and advertising developed by sponsors, partners and collaborators. 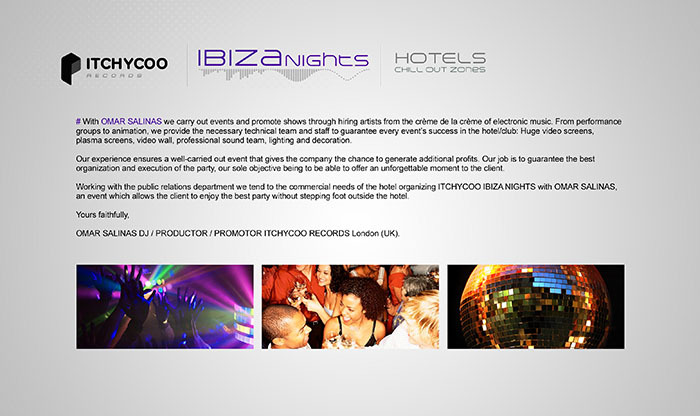 Given the profile of our target audience, which has its own communication channels and codes, it is absolutely necessary to have the cooperation and use the services of highly specialized in avant-garde music and new trends companies… OMAR SALINAS EVENTS counts on companies of recognized solvency and consolidated in the sector to carry out these specific promotions. However, our communications department carries out in parallel, a global communication that helps position the Festival and the town host in the leading cultural and touristic trends. • Creation of a Festival press office. • A national printing campaign, focusing more locally or nearby to encourage participation of citizens in the surrounding areas (posters, flyers, billboards …). • Agreements and joint actions with national and international media for the printing, broadcast and on-line, mainly specialized in the target goal. • Advertising campaign in general and specialized media; local, national and international. • The creation of a specific website for each festival and specific event of OMAR SALINAS EVENTS, from which aspects of work positioning and actions in various social networks are carried out, as well as exchanges and links to other websites, blogs and chat rooms in our sphere of action. One of the mainstays of OMAR SALINAS EVENTS is that the long journey undertaken, so far has always had the support of local authorities in the town hosts where the events have taken place. To have the appropriate permissions, ideal spaces, security control, respect for the town host and the residents are part of the key to success of OMAR SALINAS EVENTS. And this requires government support and co work with them in the organization, so there are no contingencies that alter the proper celebration and success of the festival. At present, the government support to these events also becomes a complementary way for town halls to overcome the crisis, as it offers a modern cultural and touristic alternative, with great power to gather people and as a source of income for the township and host town. La larga y exitosa experiencia en la organización de todo tipo de eventos, el reconocimiento obtenido tanto desde las instituciones como desde los medios, así como la amplia trayectoria profesional de su equipo de trabajo, con más de veinte años de experiencia, son una garantía de éxito y de la capacidad de producir “sensaciones memorables” en el ámbito cultural y del ocio. OMAR SALINAS EVENTS trabaja junto a las administraciones, tratando de dar respuesta a sus necesidades culturales y turísticas con el objetivo de ofrecer una opción diferente, moderna e innovadora para momentos de crisis. El objetivo es, a partir de las bases genéricas e intrínsecas de los eventos de OMAR SALINAS EVENTS, concebir un proyecto propio para el municipio que lo acoge y adaptado al máximo a las posibilidades del mismo, que perdure y se agrande progresivamente en el tiempo, buscando la consolidación nacional e internacional como destino turístico de primer nivel. ‘Los festivales de Música Electrónica y nuevas Tecnologías’ de OMAR SALINAS EVENTS nace como una opción cultural y de ocio capaz de situar al municipio que lo acoge a la vanguardia de la modernidad. Dirigido a un público que va desde los 20 a los 45 años, es un evento de referencia tanto a nivel nacional como europeo, que reúne entre 10.000 y 20.000 personas amantes de las nuevas tendencias y de las corrientes culturales actuales, entre las que la música electrónica juega un papel aglutinador y determinante. ‘Los festivales de Música Electrónica y nuevas Tecnologías’ OMAR SALINAS EVENTS es un concepto en el cual confluyen varias creaciones artísticas, incluyendo algunas de las más avanzadas tendencias, como son la música, el vídeo arte y la tecnología digital, que aglutina a una tipología de público muy amplia dentro de un target de edad donde encontramos todos los segmentos y perfiles de la sociedad y todos los movimientos y colectivos culturales. Un target de carácter inquieto y consumista, idóneo para proyectar toda la industria cultural, turística y de ocio del municipio donde se desarrolle el festival. ‘Los festivales de Música Electrónica y nuevas Tecnologías’ con el sello de OMAR SALINAS EVENTS es, por su propia concepción, mucho más que un punto de reunión para los amantes de la música electrónica y de las nuevas tendencias. Va más allá en la interacción entre las diferentes y más innovadoras disciplinas culturales y artísticas. Y esto lo convierte en un festival de cultura y ocio de referencia a nivel estatal que, sin ningún tipo de duda, proyectará y posicionará firmemente al municipio que lo acoge a nivel nacional e, incluso, internacional. El festival de música electrónica de OMAR SALINAS EVENTS cuenta siempre con carteles de lujo en sus ediciones. En ellos participan los mejores artistas del momento. De manera opcional, puede incluirse en el festival un concurso de DJ’s para jóvenes talentos de la zona, cuyos ganadores podrían tener la oportunidad de formar parte del cartel junto a las grandes DJ’s i VJ’s europeos presentes en el evento y promocionarlos a nivel internacional. Durante el festival de música electrónica de OMAR SALINAS EVENTS se organizan talleres de nuevas tecnologías, así como otras actividades complementarias, que son de acceso gratuito para los asistentes al Festival y que pretenden además ser un punto de acercamiento a los ciudadanos más próximos, ofreciéndoles un abanico más amplio de opciones culturales, de ocio y formativas. El Village “Chill Out” se inspira en el movimiento “Chill Out” del mítico “Café del Mar” de Ibiza. Y, siempre que sus agendas lo permiten, son sus precursores, Bruno y José Padilla, quienes asisten a poner su toque distintivo. Son fiestas organizadas por los touroperadores y dirigidas a quiénes contratan sus servicios, con el fin de incentivar las reservas y compra de entradas por los canales oficiales. El festival de música electrónica de OMAR SALINAS EVENTS organiza paralelamente una feria de exposición, cuyos expositores pueden ser tanto empresas del sector, como empresas interesadas en acercarse al público que recibe el festival. Esta feria es un punto de encuentro adicional para descubrir, por un lado, novedades del sector de la música electrónica; y, por otro, facilitar el acceso a diversas empresas interesadas en llegar a un público objetivo de manera directa y personal. El espacio ferial se sitúa, habitualmente, en un pabellón o carpa cercano al escenario principal. Se trata de un nuevo concepto de zona de exposición combinando el ocio, con la música y las nuevas tecnologías. ‘Los festivales de Música Electrónica y nuevas Tecnologías’ de OMAR SALINAS EVENTS es OMAR SALINAS que cuenta con más de veinte años de experiencia en el mundo del ocio y es promotor de festivales y conciertos de música electrónica. Omar Salinas es un reconocido DJ que pasó a ser promotor de eventos por la necesidad que sentía de congregar al mayor número de público y darles a conocer y comunicarles la cultura urbana de vanguardia y las nuevas tendencias, las cuales se manifiestan a través de la moda, la música, el arte, la comunicación multimedia y las nuevas tecnologías. Crear un festival de música electrónica era el paso ineludible. Omar Salinas ha ejercido su función de promotor en los lugares y ciudades más significativos, donde se reúnen y desarrollan los nuevos colectivos emergentes, así como los movimientos multiculturales que los motivan. Londres, Berlín, Ibiza, Florencia o Milán son algunos de esas ciudades. Realizado en la isla de Fuerteventura congregó a 18.000 personas dentro de un cráter natural de arena volcánica en el año 1996. La repercusión de VULCANO en los medios de comunicación europeos involucró al Gobierno de Canarias y a los más importantes Tours Operadores, afianzando así el incremento del sector turístico de la región. Entre los patrocinadores: Coca-Cola, Neckermann, Home Boy, Exmo. Ayuntamiento de Oliva. Patrocinadores: Ayuntamiento de San Bartolomé de Tirajana, Red Bull, Heineken, Air Tours Holyday Limited. Realizado en la isla de Gran Canaria, en el municipio de Mogan, congregó a 13.000 personas en el Barranco de Arguineguin. 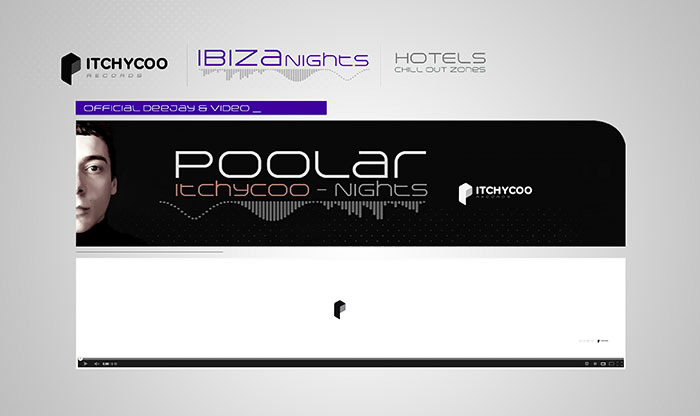 Patrocinadores: Ayuntamiento de Mogan, Univerdance 92.2 FM, Airtours Holyday Limited, Dj Wor l Music, Clock Work Orange. Esta edición se celebró en San Bartolomé de Tirajana, concretamente en el palacio de congresos de Gran Canaria, por donde pasaron aproximadamente a 10.000 asistentes. Patrocinadores: Heineken, Red Bull, Palacio de Congresos de Maspalomas (G.C. ), Ayuntamiento de San Bartolomé de Tirajana, Neckermann, Airtours, TVE. HCelebrado en San Bartolomé de Tirajana, congregó a unas 15.000 personas. Participaron DJ´s de la talla de Brandon Block, Alex P., Graham Gold, Matt Meyers/Gizmo, Darren Christian, Mathias Tanzmann, Darren Stokes, Andy Manston, Loeski, Omar Salinas, Alex Medina, Celvin Rotane, Steve Lee, Matt Cassar. - Radio: Cadena Top, 40 Principales, Cadena 100. Cuñas= Cada 30 minutos, 40 segundos. Brandon Block y Alex P.
Patrocinadores: Neckermann, Exmo. Ayuntamiento de Gran Canaria. Colectivo de DJ`S, performances, músicos, cantantes y percusionistas artistas de la sala EDEN de Ibiza. La versatilidad del colectivo D`MOOVE se adapta perfectamente a cualquier sala o club decididos a trabajar con un cuidado y selecto sonido HOUSE. Por la cabina D`MOOVE han pasado: Karl “Tuff Enuff” Brown, Omar Salinas, Matt”Jam” Lamont, Wally López, Stress a tres, Miguel Angel Roca y Willy San Juan. Para poder establecer la asistencia que se prevé en un festival de este tipo hay que hacer un análisis de conciertos, festivales y acontecimientos similares que se han desarrollado en el estado español, remarcando la fecha y la asistencia de público, tanto en su primera cómo en la última edición. En cualquier caso, se calcula una previsión de asistencia de un mínimo de 10.000 personas, pudiendo alcanzar las 20.000, dependiendo de las características y la capacidad del municipio receptor. Cualitativamente, podemos definir al público que asiste a este tipo de festivales como un líder de opinión y un generador de tendencias, con buenas aptitudes ante el consumo. Podemos asegurar que adoptan comportamientos de ”EarlyAdopters” y “FirstsFollowers”. El “Clubber” es nuestro target por excelencia. Por su elevado nivel cultural y social, se caracteriza por ser muy consumista y fan de la tecnología (electrónica de consumo, telefonía móvil, iPods, música…) y de las últimas tendencias turísticas, culturales y de moda en su sentido más amplio. Gasta la mayor parte de su salario en estar a la vanguardia y en los lugares más de moda. Cuantitativamente, la gran mayoría son jóvenes urbanos, de edades comprendidas entre los 20 y los 35 años (70%), con un nivel económico medio y medio-alto (90%) y que procede de grandes ciudades y poblaciones de más de 20.000 habitantes. El 75% del público asistente es procedente de España. Mientras que el 25% restante viene de Europa, principalmente de Alemania e Inglaterra. El festival de música electrónica de OMAR SALINAS EVENTS es perfectamente autofinanciable. La venta de entradas y consumiciones de los visitantes, así como las aportaciones de sponsors y patrocinadores puede cubrir los costes de organización del festival. Los precios contemplados para la venta de entradas (al margen de poder ajustarse para cada festival en concreto) rondan los 35€ para las entradas de 1 día y los 50€ para las de 2 días. Para facilitar la gestión y el control, se establecen canales de venta oficiales a través de la web de festival (web creada expresamente para ese evento), así como de otras vías que se consideren de interés y seguras, como podrían ser El corte inglés, Atrápalo o las webs de los partners del festival. • Nuestra propia Campaña de comunicación, promoción y publicidad, donde tienen un papel relevante los logos de los patrocinadores y colaboradores. • La comunicación que realizan en sus medios, especialmente sus webs, los propios artistas participantes. • Las acciones promocionales, comerciales y publicitarias que desarrollan los sponsors, partners y colaboradores. Dado el perfil de público al que nos dirigimos, que cuenta con sus propios canales y códigos de comunicación, es absolutamente necesario disponer de la colaboración y utilizar los servicios de empresas altamente especializadas en música de vanguardia, nuevas tendencias… OMAR SALINAS EVENTS cuenta con empresas de reconocida solvencia y consolidadas en el sector para llevar a cabo estas promociones específicas. No obstante, nuestro departamento de comunicación lleva a cabo, en paralelo, una comunicación global que ayude a posicionar el Festival y el municipio en el panorama cultural y turístico del momento. • Creación de un gabinete de prensa del Festival. • Campaña gráfica a nivel nacional, incidiendo más con carácter local o por cercanía para incentivar la participación de los ciudadanos de las zonas próximas (carteles, flyers, vayas…). • Acuerdos y acciones conjuntas con medios de comunicación nacionales e internacionales impresos, audiovisuales y on-line, principalmente especializados en el target objetivo. • Campaña publicitaria en medios generales y especializados, de ámbito local, estatal e internacional. • Creación de una web específica para cada festival y evento concreto de OMAR SALINAS EVENTS, desde la que se trabajan los aspectos de posicionamiento y acciones en las diversas redes sociales, así como en los intercambios y links en otros webs, portales, blogs y chats de nuestro ámbito de acción. Uno de los puntales del OMAR SALINAS EVENTS es el largo recorrido realizado hasta el momento, que ha contado siempre con el apoyo de las administraciones locales de los municipios en los que se ha desarrollado alguno de sus eventos. Contar con los permisos adecuados, los espacios idóneos, el control de la seguridad, el respeto al municipio y los vecinos son parte de la clave del éxito de OMAR SALINAS EVENTS. Y para ello es necesario el soporte de las administraciones y trabajar conjuntamente con ellas en la organización, a fin de que no haya imprevistos que alteren la correcta celebración y el éxito del festival. En estos momentos, el apoyo de las administraciones a este tipo de eventos se convierte además en una vía complementaria para los ayuntamientos para salir de la crisis, ya que les ofrece una alternativa cultural y turística, de vanguardia, moderna, con un gran poder aglutinador de asistentes y como una fuente de ingresos económicos y promoción para el municipio organizador.